H ow do leaders emerge in organisations? How did your boss make the step beyond the others? Maybe she was prepared to invest time in her own career beyond the ‘day job’ and it was recognised by her boss. Maybe he worked out that there’s always a way to get that extra thing done during even the busiest day and proved the old adage that ‘give a busy person a job to do and they’ll make it happen’. In the motor industry there’s a well-trodden way for communicators to put themselves in the spotlight, fast-track their careers and secure that first Non-Executive Director (NED) role. Why not put yourself forward for election to the Board of the Motor Industry Public Affairs Association? You’ll be using your experience and skills to help communicators within the motor industry work more effectively by providing training, workshops, events and opportunities for networking. The current Board is about to change as Chairman Mike Orford completes his term and steps down, providing an opportunity for you (and why not?) to step forward. Quite a few of us have served in this role during the 47 years since MIPAA was founded. We have all enjoyed the challenge of leading an industry group and been rewarded by seeing people develop and grow in the sector. Our ‘Who’s Who? 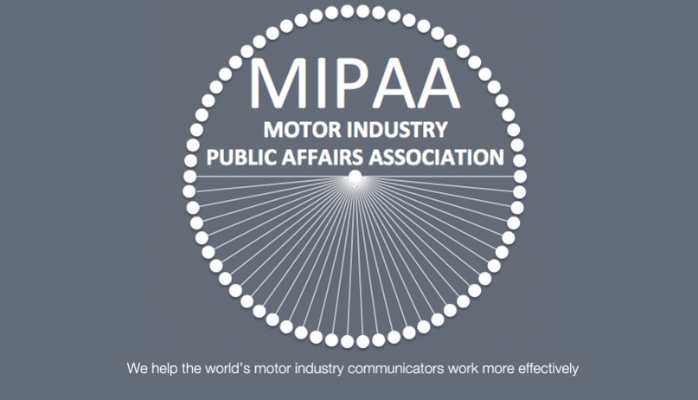 of previous MIPAA Board members include Gabi Whitfield now Global PR Director at Land Rover, Edmund King now President of the AA, Mike Orford now Head of Press and PR at Volkswagen, Debbie Shields, now Product and PR Manager at Vauxhall Motors, Richard Gadeselli, now Vice President of Communications at CNH, Andrew Francis, now Director at Performance Communications and the list goes on. The elections for the 2016 Board of MIPAA take place during November, so it’s time to act if you want to make your mark. Have a look at the MIPAA website, and then why not come to the next event and see for yourself? Contact Heather Yaxley, General Secretary and find out more.